In North America alone, between 2012 and 2018 over 12000 physical retail stores have been closed – a phenomenon that is widely anointed as the ‘Retail Apocalypse.’ From 2015 through present day there are around 57 retail companies and counting, that have filed for Chapter 11 Bankruptcy protection, in an attempt to restructure and stay afloat. Inability to adapt, mounting debt, and poor reorganization strategy are some of the key elements that have contributed to their fall. While economic parameters like commoditization, oversupply and demographics have had their share to contribute to this phenomenon, the single most deciding factor has been a rapid shift in consumer buying behavior. Consumers have shifted their mindset from buying the product alone. Instead, the focus is now on how they feel, what their experience was during the buying process and beyond. 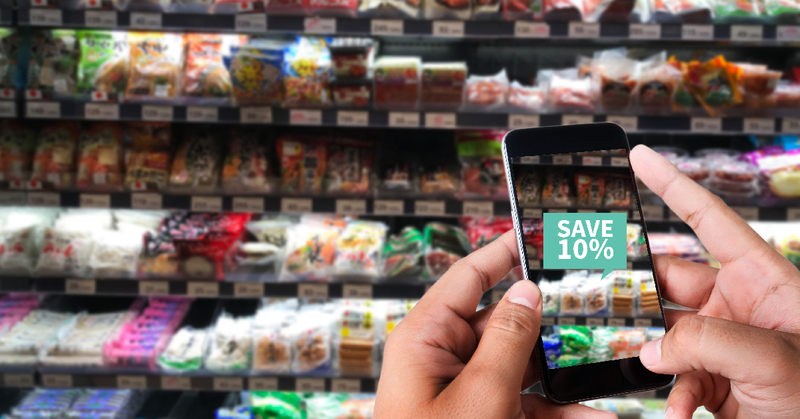 Digital technologies today allow innovative retailers to integrate the best of both the worlds: leveraging customer data and process intelligence to create lasting experiences. The positive experiences are relatable and shared, consumers are most likely use this to make the next purchase. Digital adoption, hastened this shift multi-fold by nurturing and taking the relationship to the next level. How can Retail Organisations get it Right ? Retailers have to embrace the fact that consumers are now deeply connected with the modern digital world and need to adopt to this new reality. Successful retailers are the ones who have been able to understand this shift and re-invent their business at a core level. In fact, the adoption of digital technologies is no longer a luxury, but an imperative: Inaction is certainly not a valid option. Retailers have been picking up pace in adopting digital over the last 12-24 months. A recent McKinsey Insights report pegs digital penetration in retail at 55%. However, in a number of cases, retailers have been able to either solve or reinvent only a specific aspect of the retail business in an innovative way by using digital technologies. Only a few have been able to completely reimagine retail. b) The ability to continuously innovate newer experiences appealing to the hyper adoption of digital by customers. Customer preferences of touchpoints (mobile, voice, kiosk etc.) are ever-evolving, and the ability to deliver experiences across multiple touchpoints or channels is critical. c) Having a continuous feedback loop with customers and being able to predict what they want even before the customer themselves know. a) Personalized recommendations of products based on a variety of customer related data. Advanced algorithms, when used appropriately can make recommendations that are highly likely to appeal to the customers so that it keeps the customers engaged and coming back. This ensures significant upsell and also allow retailers to predict demand. b) Retailers are able to identify patterns by combining historical and real-time data using machine learning, which otherwise would have been missed. Demand planning, granular segmentation, tracking performance of a single item across multiple categories and multiple parameters are being increasingly adopted by retailers. c) Connected logistics, leveraging the Internet of Things (sensors and trackers) enable the collection of data to feed the machine learning algorithms telling a complete story of the circumstances in which the delivery is being made. Machine learning models enable processing of this data that derives routes, optimizes cost and time, better than humans and current navigation software. d) Leveraging AI capabilities of voice recognition, natural language processing, neural networks, deep learning to deliver digital shopping assistants that become more intelligent as more customers use them and interact with customers through a combination of voice, text, and image processing. The power of data and insights can deliver a sustained competitive advantage only if the insights are translated into meaningful actions that are co-ordinated / orchestrated in a unified manner across the multitude of touchpoints. As the number and type of touchpoints (digital, offline etc.) keeps evolving the ability to orchestrate becomes even more critical. The new capabilities flip the traditional equation of customer journey on its head. New digital journeys are created on the fly. Every “customer journey” is unique, with analytics and AI doing all the work, creating thousands or millions of personalized “journeys” based on the needs of each individual and these can even update and optimize themselves. Effectively creating and managing these kinds of flexible, on-the-fly journeys are ‘The New Big’ opportunity in retail. The ability to digitally re-invent businesses requires a constant effort focussed around the 3 core themes – collect data (about customers, products, & locations), get meaningful insights from the data, and turn these insights into actions that deliver competitive advantage. We are constantly working with enterprises to help them understand these key parameters for digital success and propagating our learning through online content and digital workshops. To stay in touch with us write to us at strategy@xcubelabs.com.